Are you looking for some Easter fun? 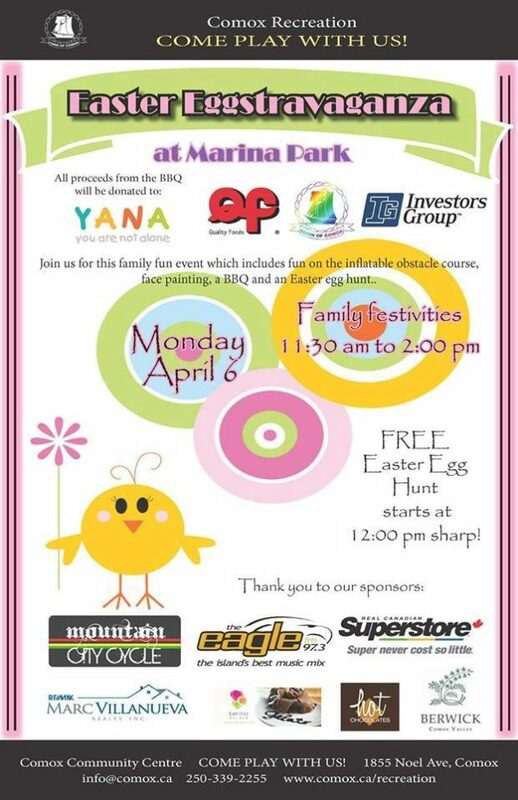 Come to Marina Park in Comox on Monday, April 6th at 11:30 am and be ready for the egg hunt at noon. This activity and all kinds of other family fun will be waiting for you.